There is this Person, who has fought for our freedom for 30 years; his thoughts is the bonfire that has lit up the long darkness of this country. 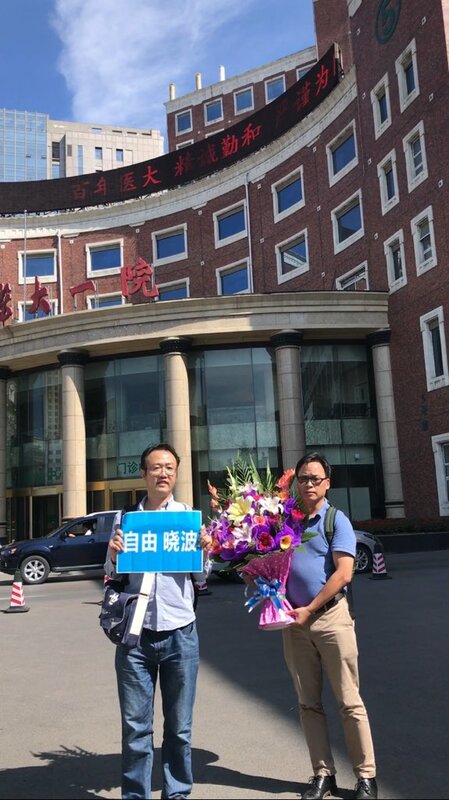 If they would not allow him to leave till the day he dies, then, let us go to Shenyang! This is what we owe Xiaobo; this is what this country owes Xiaobo. Friends, to Shenyang, let Xiaobo, let China, and let the world, hear the voices from souls of freedom.